Living a green healthy life, that’s what we always wished for. But sometimes because of too much stress and the fact that we are not properly taking care of our body, sickness becomes inevitable and we caught the most common illness like cough and flu. Viruses and bacteria live practically everywhere and studies shows that it can survive up to two hours on different things until they finally found their next victim which can be you and me. We encounter different germs each year probably the most common ones. And with the many known and unknown sicknesses and viruses that are affecting humans, doctors and the medical society are finding remedies or medicines for such sicknesses but before relying on over the counter medicine, we can look into using herbal remedies that are safe and free. The Philippines has over 1000 herbal medicinal plants that can be found all over the country and maybe some of them can be found in your own backyard or your neighbors yard. Even the Department of Health had given their list of ten approved herbal medicines through their program “Traditional Health Program”. These herbs have been thoroughly tested and have been clinically proven to have medicinal value in the relief and treatment of various aliments. Above pictures are some of the herbal medicines (Halamang gamot) that is found very useful. Listed below are compilation I found on the net of the short listed remedies it can provide for us. I do hope you can find it interesting and helpful. Luyang Dilaw or Turmeric : Is also called ginger root which can be found abundantly in the Philippines. Turmeric is a smaller version of the ginger that we used in our salabat. Well aside from our favorite dish curry, turmeric is effective medicinal plant for acne since it promotes healing and acts as anti-inflammatory medicinal plant. It contains “carminative” which is a medication that prevents the formation of gas in the alimentary tract or eases its passing. With the recent dengue cases in our country, the use of tawa tawa has been brought out of light and the discovery of its active ingredient leads to the development of treatments for dengue and even tuberculosis. According to DOST, tawa tawa has medicinal properties that can has the ability to increase blood platelets. Aloe Vera – Originated in Northern Africa. Aloe Vera is also known as Miracle plant because of its long lists of benefits. Aloe vera is a potent natural medicine – and there is more and more evidence to show its effectiveness in the treatment of some of the most serious diseases. Aloe Vera has long been lauded for its natural soothing, cooling, and moisturizing abilities. When applied to your skin Aloe Vera can soothe minor burns, comfort and moisturize stressed skin, and even help aid in your skin’s ability to regenerate itself. Oregano scientifically named Origanum vulgare by Carolus Linnaeus is a very common herb that we used in our kitchen especially in our foods but not many of you knows that it is also a great source of Vitamin K . Oregano also contains thymol and carvacrol, two oils which have remarkable bacteria-fighting power and did you know that it has 42 times more antioxidant than apple, 30 times than potatoes and 12 times more than orange. It is also a very good antiseptic for cuts and burns. Cure respiratory and stomach ailments and a tea made with oregano is also used to relieve flatulence [gas problems] and menstrual pain. Oregano also helps clear sinuses and its oil helps in controlling acne and pimples. Just Add two drops of oregano oil to any face wash when cleaning your face could remove those acne problems. A few drops of oregano oil rubbed on the scalp at night can also help control dandruff. But you may experience a mild warming sensation, which is just normal. Wash off with a shampoo next morning. Tahebo or Taheebo : You must have heard about the capsule. The active ingredient from the inner bark is analgesic, anti-oxidant, decongestant, diuretic, hypotensive and ultimately as cancer therapy but as of today, this medicinal plant is still undergoing studies. Hypothensive- maintains the natural equilibrium of blood and prevents the rise of cholesterol. It’s good to know that there are natural herbal medicines that can help us with our sickness and medical problems but it is also best for us to know that some of them have special preparations and should not be taken as it is. It is always best to seek physicians or doctors before venturing or trying anything on our own. To grab our badge, click HERE! Thank you for joining Green Monday. Don’t forget to visit other entry and leave a comment to spread green living. Very interesting. I love the aloe vera. Very interesting to hear how versatile each plant is. I was not aware that common household oregano was such a huge antioxidant source, and that’s just in addition to its many other benefits. Thanks for the posting. Thank you for your compilation of medicinal herbs. There are some there I have never heard of and some that I do use. My favorite is Aloe Vera. I boil it in water and make Aloe drinks from it that helps with heartburn, tummy aches, and cleanses the colon. I live in Florida so of course I also use it for sunburn and mosquito bites. I copied down the other herbs you have listed and am definitely going to look in shops on the island to see what I can find. Again, thank you for this information! Very interesting! Love aloe vera and ginger! I’m definitely saving this post for future reference! I always try to use holistic and natural remedies first, I feel like you never really know what you’re putting into your body or your children’s bodies with OTC medicines. This is awesome!! I want to make my own medicinal garden now. I prefer trying herbal remedies before resorting to medicine. I have fibromyalgia and have found natural, topical creams to work better than the ones full of chemicals. Thanks for sharing this post. I love to grow all of my own herbs!! And I have used alot of those herbs to make me feel better in different ways!! I have to say you learn something new everyday. This information is very helpful to me and I am looking into natural forms healing more evryday. Thanks so much for the information. I’m a total believer in natural therapies and herbs. I actually take quite a bit of turmeric because of its anti-inflammatory properties. I did learn something: Oregano is high in vitamin K and antioxidants. Very helpful information. I have some herbs that I can grow here and would love to grow more. LOVE GREEN HEALTHY LIVING WIT HERBS AND MINERALS. 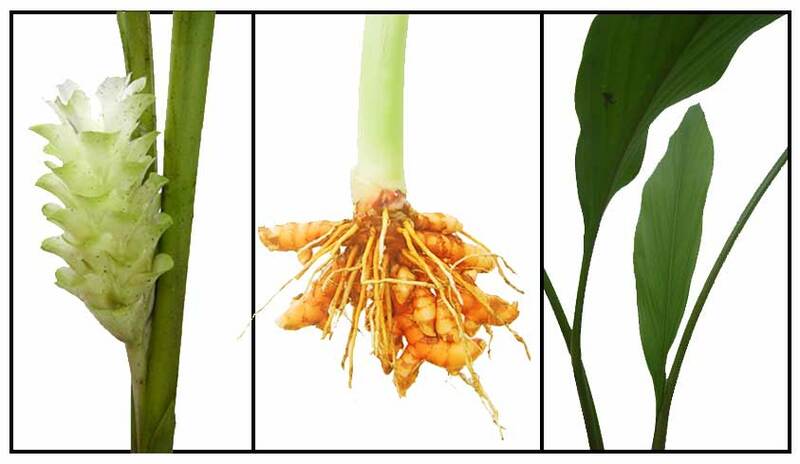 I am familiar with quite a few herbs, but never knew that Turmeric was a rhizomal plant in the ginger family. My mother has always used it in cooking, even as children we had lots of “yellow rice” with meals and often eat curry. Black Turmeric has kept my brother’s cancer from coming back. I have heard so some of the herbal medicines and know only a little about them but I do know ginger helps with stomach problems and aloe plants I keep around because the plants juices are awesome for burns and sunburn works better and any over the counter drug for burns. Thanks for the info on other plants. Though I suffer from a chronic illness which required medication, I do like to research and whenever possible put as many herbal meds as I can into my regime. I have to be care as some will interfere, but this is a wonderful list to start with! I am really surprised to know about Aloe, I have so much of it at home… great uses!! I didn’t realize that Oregano was a good source of Vitamin K. I love learning about herbal plants and their benefits. This is a great article!